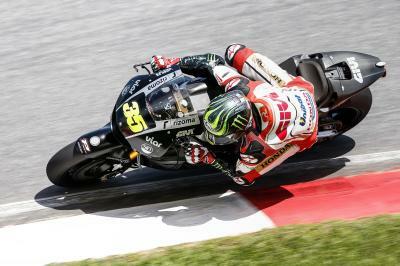 Cal Crutchlow left Sepang happy after being given an updated engine by HRC for the final day and finishing sixth fastest overall. 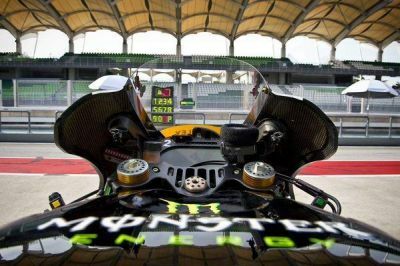 The first official tests for the 2016 MotoGP season came to a close on Wednesday, after three days of intense work for Cal Crutchlow and the LCR Honda Team at Sepang in Malaysia. Unfortunately, the weather wasn’t completely on side for the LCR squad and the rest of the field, with a damp track in the morning preventing any action early on, whilst an afternoon rain shower limited late track-time. 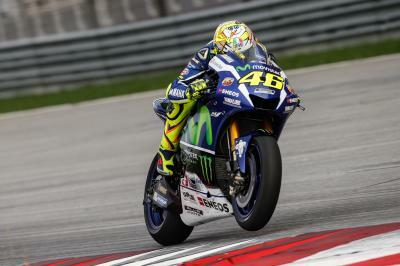 The track did dry up sufficiently for Crutchlow to set his fastest time of the day, however, with an impressive 2’00.992 making him the fourth fastest rider on the timesheets. Due to track conditions, this was slightly down on the Briton’s benchmark from Tuesday, however that 2’00.899 was also set on the race-spec tyres, unlike some of the lap-times from his rivals. 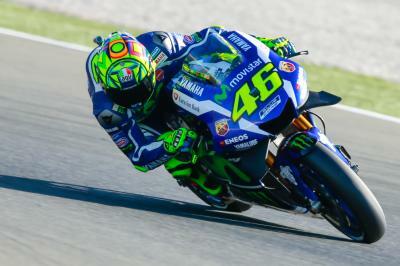 With sixth overall in the combined standings, and one of the quickest on hard rubber, the 30 year-old can be happy with his and the team’s efforts. The LCR Honda Team were given an extra boost during the final day, when HRC allowed Crutchlow a chance to give his feedback on a 2016 version of their RC213V engine. 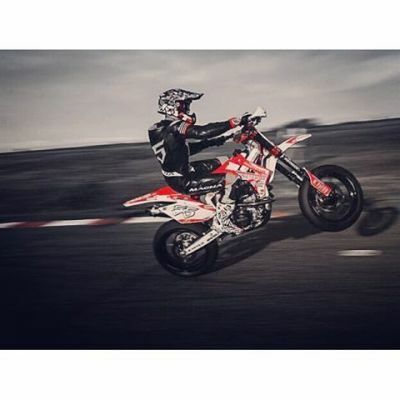 With his input, development on that and the rest of the factory package will continue at the next official testing session at Phillip Island in Australia between February 17th and 19th. Andrea Iannone was happy with the work done in Sepang as he finished in eighth despite some teething problems with the Desmosedici GP. 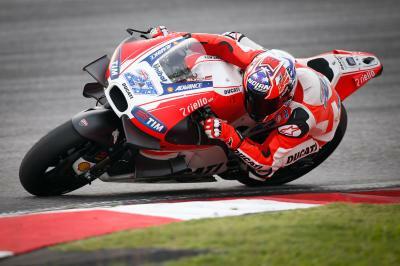 Double MotoGP™ World Champion Casey Stoner ended the Sepang test in ninth overall as he made his return to the track on a Ducati. That's all folks! 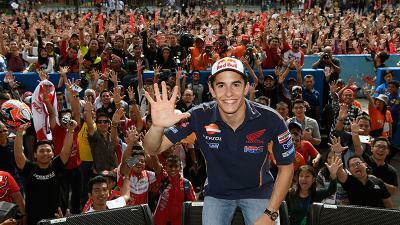 The #SepangTest is over, but fear not...The #PhillipIsland test is in two weeks time! 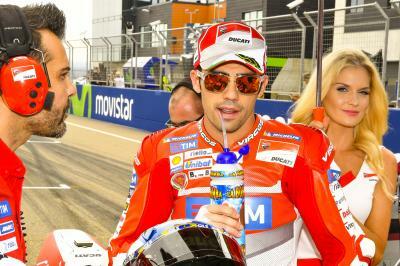 A difficult Wednesday for Danilo Petrucci who manages to hold onto second overall at the end of the Sepang test. 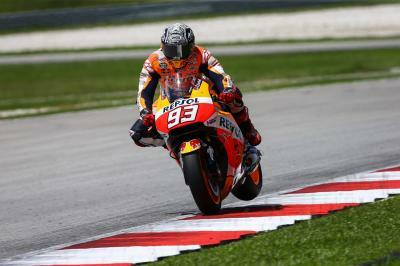 Fifth overall at the Sepang test for Marc Marquez as he is left with work to do before the season. 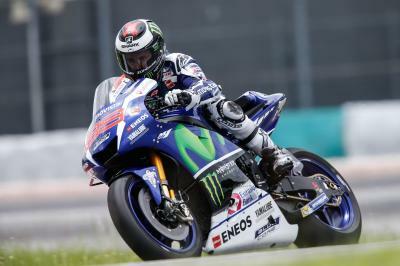 Jorge Lorenzo continued where he left off in 2015 by dominating the Sepang test to finish 0.515s ahead of the rest of the field.